Visit Sin City’s state-of-the-art indoor shooting range with a session at the Las Vegas Gun Garage. 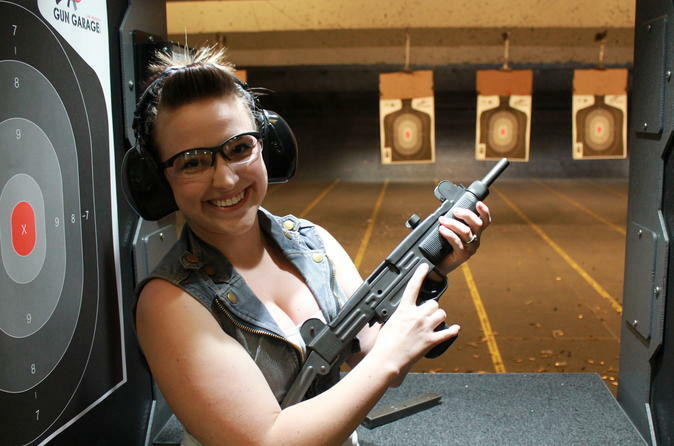 With this sampler experience, take aim with the choice of an UZI or MP5 submachine gun and a Glock or HK USP pistol. No previous shooting experience is necessary. Professional Range Safety Officers are available to assist. Eye and ear protection plus a Las Vegas hotel pickup and drop-off are included.